Hussain Sajwani is the CEO and founder of the real estate developer Damac properties, which was founded in 2002. He is a multi-billionaire worth 4.2 billion US dollars. He is a United Arab Emirates citizen, and he lives in Dubai. He is married and has four children. He got his Bachelor’s degree in industrial engineering and economics from the University of Washington by getting a scholarship. He was involved in the food service business that catered to the United States military and construction of the giant Bechtel until 2001 when Dubai allowed foreigners to own property. He now focused on real estate and sold units in a residential building. In 2002, he established and is the Damac owner, one of the largest property development companies in the Middle East. Damac group has its headquarters in Dubai. Their main products are properties. They have at least 2000 employees as of 2017. They deal with all kinds of properties from residential, commercial and mixed-use projects. The Damac hills have the Beverly Hills style living. Their services are in not only in Dubai but also Qatar, Jordan, Abu Dhabi, Lebanon, the kingdom of Saudi Arabia and the United Kingdom. Damac Hotels and Resorts operate hotels, hotel apartment, complexes, and serviced villas. Damac is known for its extravagant marketing strategies. They have worked with Bugatti and Versace in co-branding deals. In 2013, Hussain teamed up with Trump to develop the two-branded golf resort in Dubai hills. The two have been in business together for a long time, but President Trump turned down one of Hussain’s great business proposals because as head of state he is not allowed to conduct any private businesses. The company has supported philanthropists like His Highness Sheikh Khalifa bin Zayed Al Nahyan, President of the UAE, His Highness Sheikh Mohammed bin Rashid Al Maktoum and the general manager of UAE Red Crescent Dubai branch, Mohamed Abdullah Al Haj Al Zarouni. The Oxford Club is a private organization that has one primary goal and that is to help their members invest and protect their wealth despite the market turbulence that often occurs. Their strategies have been tested over time and they regularly outperform the indexes while lowering risk which is a fantastic combination. William Bonner and several others helped found The Oxford Club back in 1989 and their key principle is in how they find top performing investments. They rely on personal contacts to find the best opportunities as opposed to financial media which is often late to the game. The 157,000 members are spread around the world in over 130 countries and they all strive together for financial independence. The executive team that has been put in place is highly talented and they are led by CEO Julia Guth. The exhaustive research that these professionals engage in is one important factor that sets apart The Oxford Club and gives members access to the best potential opportunities. The analysts that produce their top quality newsletters and trading services are seasoned experts with experience and success on their resumes. They also cover virtually every asset class and type of investment vehicle to provide the widest range of choices. There are three classes of membership within The Oxford Club and it all begins with the Premier level. This is an annual subscription to one of their three monthly newsletters which are packed with expert market analysis and trade ideas. The next highest level is the Director’s Circle which gives access to all three monthly newsletters and provides comprehensive market coverage. The greatest value and resources are found with the highest level called the Chairman’s Circle and it provides access to all their publications as well as special website features. The Oxford Club has an easy to use strategy which enables members to outperform the markets without taking on extroardinary risk. Market volatility is always a possibility and this strategy is well prepared when it occurs. A timely exit strategy is one thing that members learn as it pertains to the strategy employed and this gives them peace of mind and the ability to sleep at night. Gregory Aziz: What A Steel! In the 90’s, Gregory James Aziz became the head of a company called National Steel Car. At the time, it may not have been an incredibly big deal, but after years of hard work, this simple action changed not only his life, but so many others as well. What is National Steel Car? If you are unfamiliar with trains, railroads, or railroad freight cars – you may have never come across the name National Steel Car unless you happen to come to a complete stop while watching them drive by. National Steel Car, however, is one of the world’s leading railroad freight car companies. They not only manufacture freight cars, but they engineer them as well. They have many cars that they focus production on including boxcars, coil cars, flat cars, gondola cars, hopper cars, intermodal cars and tank car. They have worked with major companies such as Dow Chemicals, CSX, Union Pacific, Shell Canada, Canadian National Railways, Canadian Pacific Railway and Ontario Northland Railway. Gregory James Aziz is not only the CEO of National Steel Car, but he is the Chairman and President, as well. Greg became the head of the company in the 90’s after working on investment banking opportunities in New York. He came across National Steel Car and was able to organize the purchase of it from Dofasco. Greg Aziz’s ultimate objective with the company was improving it to be the best, and the best is exactly what it is. The company’s numbers improved almost five times within the first five years Greg Aziz was at the head, going from numbers such as 600 employees to 3,000 employees with 3,500 cars produced per year to 12,000 cars produced per year. See Related Link for additional information. How exactly did Greg get to investment banking in New York? Gregory James Aziz was born in London, Ontario in 1949 where he would later go to school at Ridley Collage and major in economics at the University of Western Ontario. After school, he went to work at his family company that was a wholesale food business called Affiliated Foods. He remained there until the 80’s, as the company continued to grow for the next 16 years. Eventually Greg made his way to New York that would lead to Greg’s ultimate success. Currently, the company remains to be one of the world’s leaders in railroad manufacturing and engineering. The impact of a good manager in a business organization cannot be dismissed. There is a huge difference between a business that is led by an innovative manager who understands the goals and aims of the business organization as opposed to an organization led by a manager who is after making money without any impact. In today’s world, demand for good managers is high. Many business organizations want a leader who has a passion for work and is innovative enough to push their business to the next phase of development. Brilliant managers are also earning hefty wages from their employers. One business leader who has been brilliant in his work is James Aziz. As opposed to working for someone’s firm, Greg bought his firm and has been building it slowly to become a global giant. 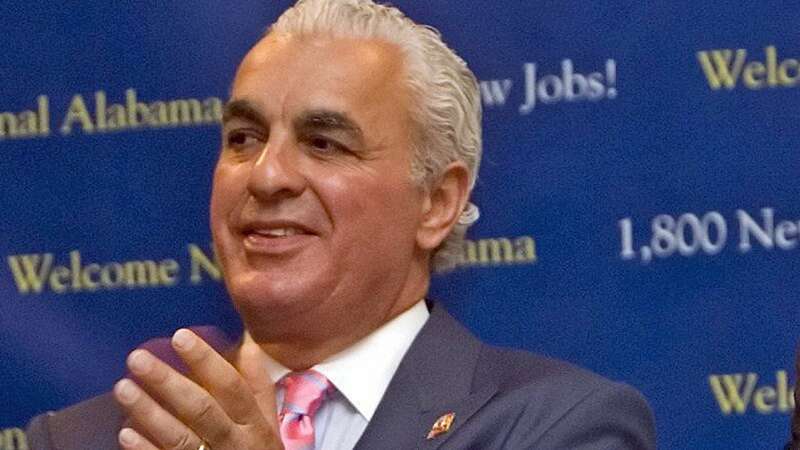 Gregory Aziz is the CEO of National Steel Car. It is a railroad freight car company in Canada. The company has a long history. Started in 1912 and still operational to date, this is a great company. Not many companies can survive for over a century in the current times of technological innovations. National Steel Car has battled all manner of challenges in the industry over the last a hundred years to emerge the leading company in North America in the field of engineering and manufacturing. National Steel car is making huge steps in terms of growth. From an under-performing company in early 1990’s to become a top company today, this is no little achievement. It is something that any struggling company would love to have. Gregory Aziz is from Ontario Canada. He studied Economics at the Western University. It is the educational knowledge he has been applying to make National Steel Car a top company again. James Aziz invested in the company at a time when it was struggling, and since then, he has managed to change the operations of the firm. Production capacity has gone up, and the number of workers in the company has also increased. National Steel car is overtaking every other business and is emerging as a leader in this highly competitive industry. With a production capacity of over 12000 cars annually, National Steel Car is performing exceptionally well. It is now ISO certified and has also won numerous accolades for its quality products. Gregory Aziz has shown that any company could perform well as long as the management is committed to working. Gregory Aziz has also demonstrated his ability to grow a business. See This Article for additional information. For years, Gregory James Aziz wanted to make sure he was doing the right thing with the business world he was in. 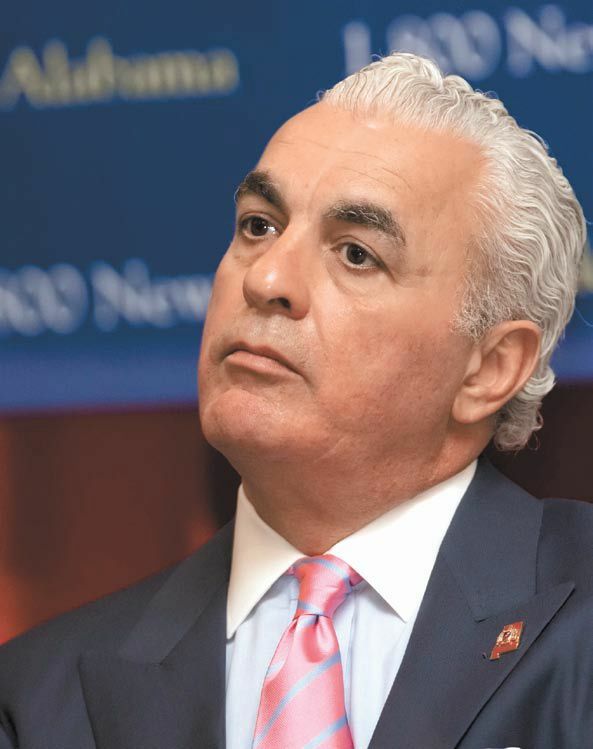 Greg Aziz was confident in the skills he had and that was part of what made him one of the best businessmen in the industry. It was also what made it easy for him to take advantage of all the different things that were going on in the world around him. For Gregory Aziz, this meant he would need to keep doing things that would allow him to be successful. While he knew that he was great at business, he also knew he was going to have to work for himself if he ever wanted to make a lot of money with the businesses he had. Even though Greg Aziz worked in the banking world before he purchased his company, he began working on the company to figure out what he could do or how he could make things work better. It was also his way of providing people with the experiences they needed to do their best with the industry. As long as Gregory Aziz was doing things right, he was confident he’d be making a positive impact on others who were in the business. Like Aziz on Facebook. 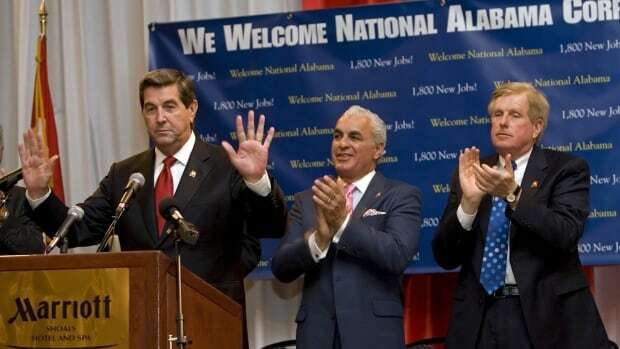 National Steel Car changed a lot during the time that Gregory Aziz was taking over the company. It was also Gregory Aziz’s way of giving attention the things that were happening in the industry standards. By bringing this type of attention to other people, Gregory Aziz was prepared to help people realize they had the best options possible. He was also sure there would be different things he could do to help people with the right options. It was his way of giving the community what they were looking for no matter what issues they were facing or what they were doing. Gregory James Aziz is a man that is respected and known around the world. He is the President, the CEO and the Chairman of National Steel Car; a subsidiary of National Industries Inc. His leadership skills shine brightly when he is leading his team on to greater accomplishments. He has a knack for motivating other people, and they respond in a great way to his encouraging words. Aziz is also known well in his own community where he resides. It is known by many of the people that live there that he gives to those that are less fortunate than he is. Since he is quite generous, people remember him for his charitable contributions. This gives Aziz a great presence in his community, and he also encourages his workers to follow suit. He wants them to be active in their communities too. His workers respect and admire him, and they are motivated by Greg Aziz’s leadership. They are able to utilize their experience and talents in order to build the necessary freight cars for their clients. When they work for Gregory James Aziz, they are able to prove to the world that they are the best at what they do. Since there are many workers in the company, they all feel like part of an extended family that cares about each other. With this type of feeling, they can get so many things completed in a short period of time. Making further progress into the future is what the company has in mind. They want to take over the lead in the industry so that they acquire an even higher density of clients. It can make them even more profitable than they have been. National Steel Car and Greg Aziz are making quite a splash around the world as more and more people find out what they can do. Since the company has also been bestowed with honors, they will continue to acquire more of them as the years go by. The company will continue to improve with technology, and they will be given even more difficult tasks to perform. They will do this to the fullest of their abilities. Read This Article for more information. The chief executive officer of the Canadian-based railroad company, National Steel Car, is the legendary businessman Gregory James Aziz. This legendary businessman has served as the chairman of the board for National Steel Car as well as the chairman for the National Industries. Greg James Aziz was born in the province of Ontario. It was here in the city of Hamilton, his hometown, that he would launch his successful business, National Steel Car. Greg Aziz prepared to become the chief executive officer of National Steel Car by gaining an economics degree while studying at Western University. It was through the fundamentals that he learned at Western University that he would be able to lead National Steel Car into the next 100 years of business. When Gregory James Aziz came to his office for the first time at National Steel Car, he immediately ordered a companywide evaluation. As he looked over this evaluation, he noticed that National Steel Car had not created a new product in 10 years. This was troublesome indeed as the governments of Canada and the United States were looking to pass new legislation to force the railway industry to comply with green energy. He knew that if National Steel Car was going to survive, they would need to develop a rail car that could meet the strictest regulations. Greg Aziz would call the director of the research and development Department to his office and go over plans on how National Steel Car could create a new railcar that could go further, faster, and use fewer emissions. While the lead engineer was skeptical at first, Gregory James Aziz was able to bring him to his side. Five years later, research and development had created the ultimate environmental friendly rail car. In just a few short months the Canadian Parliament had passed regulations on the rail industry. This made 90% of the competition inoperable under the new laws. While the rest of the industry was trying to develop new cars to compete, National Steel Car was getting contracts left and right. Go To This Page for related information. One such contract came from one of Canada’s leading peat moss dealers Canpotex. Canpotex reached out to National Steel Car an offer to buy several of their new cars for a contract of $1.5 billion. Of course, National Steel Car accepted and continued to work with Canpotex so that their various rail way goods could keep being transported.